As part of the launch of our new website, I’m interviewing Annette Franz, author of the popular Customer Experience (CX) blog CX Journey. 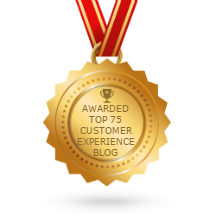 In addition to her blog, Annette and I volunteer together as CX Experts at the Customer Experience Professionals Association (CXPA). We’re discussing all things journey mapping. Jim: So Annette, let’s start. You’ve written a lot about journey mapping, even naming your blog CX Journey. So why do you feel that journey mapping is such an important topic? Annette: One of the main reasons journey mapping is such an important topic is that it really sheds light on the customer experience the way it ought to be shed, from the customer’s perspective. A journey map really brings the customer experience to life, allowing people in the company to really understand what customers are going through, what their interactions are, and to create that empathy that we are talking about so much lately, that’s so important to creating a great customer experience. That sets the groundwork. We can’t transform the customer experience without understanding who the customer is and what he’s going through, and that’s obviously where the maps come in. Jim: When a company wants to do journey mapping, what’s helping them realize they need to map their journeys? Is it an event, a project kicking off, or something else? I’m going to answer the question in a way you might not expect me to answer it. I don’t think most companies even know that this is something they need to do. I hope there will be more this year. Every year it becomes a hotter topic, and we did see an increase in the number of clients and companies last year who really got it. For those who have done journey mapping, I think what’s happened is that somebody’s ended up in a CX role, did a lot of research, went to conferences, listened to advice out there, and found out that if they’re going to create that transformation for the customer experience, journey mapping is the place to start. Hopefully someday that will be much easier for people to pick up on, but I think right now most companies don’t realize that’s where they need to start. Jim: How have you seen companies use their journey maps to drive their CX programs forward? There are a couple of different ways that companies use maps. One of the key things is that it has helped companies shift from thinking about the customer experience as simply individual touch points to thinking about it as a journey. The experience isn’t a set of disconnected interactions. It’s allowed companies to see that we need to think about the entire journey, not just what happens when they make a phone call or purchase. It makes them shift their thinking from transactional to relationship thinking. I recently wrote a post called “18 Reasons to Map Customer Journeys” that explains more about how companies use maps to improve their CX efforts. Jim: Do you have any examples of where a particular organization was able to use journey maps to propel their CX program forward? There’s one really interesting example I have. It’s a company whose organization was built around their lines of business. They had six unique business units. And their customers typically interact with at least four of those lines of business, if not all six. Every time customers engaged with a different line of business, it was like starting over again. Each of the six lines of business had no idea who this customer was. Through their journey mapping they really got a deeper understanding of this issue. They eventually flipped the organization – and I think we’ll see more of this – based on the customer experience rather than on a very inward-looking line of business type of thinking. So what a difference it made with customers as they interacted with the business. Now they don’t have to go through starting the relationship over again every time they want to interact with a different business unit. It’s been a really great transformation for them, which was based on what they learned from of their journey maps. Jim: That’s what we’ve seen, as well. Where journey maps are really effective is in showing those handoffs within silos of an organization. That’s where many of the challenges are, and a great journey map shows where that handoff fails, or sometimes doesn’t even happen at all. Do you agree that we’ll be seeing more of that, where organizations will change their structure based on their customer? Do you think we’re at that point? I do. I’ve seen it. Jim: I’ve seen some of it. Mostly I’ve seen companies just starting to realize that. We’ve gone through a time in the poor economy where we saw a lot of cutting. When you cut, one of the easiest things to do is to focus on the individual function or silo, and say, “Okay, you do this.” And what you start to lose is that coordination across silos. What you’re referring to is the next evolution. We went to silos because that’s more operationally efficient at the expense of the customer. And now we’re starting to realize we need to focus more on that customer, because if we don’t, our competitors will. We really have to center more on how we solve their problems. And I do see that happening. One of the key points about journey mapping is in breaking down those silos. Jim: So let’s close up with some final advice. If you had to give one piece of advice to a company considering journey mapping, what would it be? Can I give three? Without a doubt, the most important advice I can give about journey mapping is that the maps have to be built from the customer’s viewpoint. By definition, that’s what journey mapping is all about. We can build that assumptive map internally with stakeholders, but if we don’t validate through our customer research or validation, we’re missing the whole point of journey mapping. The second piece of advice I have is that the maps are not one-and-done. We don’t just create maps and put them on the wall and walk away. They need to be living and breathing documents. We create maps to help us understand what the current state is. But what we want to do is also define the future state. And as the current state changes, the map needs to be updated. The last piece of advice is that journey mapping isn’t just for the customer experience. I’m a huge advocate of focusing on the employee experience as well. The maps are just as useful, meaningful, and important for focusing on the employee journey. Jim: That’s a terrific point, I’ve seen a little bit of that work done. It makes sense, because if the employees have a bad experience, they have a heck of a time delivering for the customer. Annette is the author of the popular CX blog CX Journey and Vice President of Customer Experience for Touchpoint Dashboard. You can view her blog at www.CX-Journey.com. Thanks again, Annette! Heart of the Customer readers can download our new journey map toolkit here.